Two-wheel trailer offers heavy hitch that can handle the rigors of generator operation. Comes with 14" rims and 23" tires. For off highway use only. Tires shipped loose. 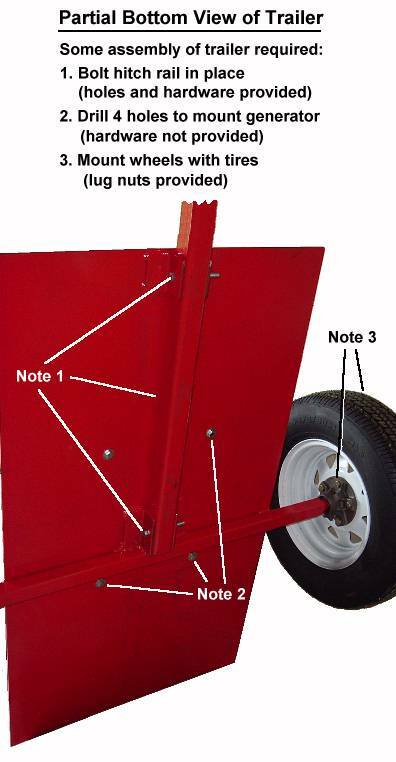 This trailer kit requires some assembly including mounting of wheels and hitch bar, and drilling to mount pto generator. Click thumbnail image above to view assembly details. Maximum allowable load is 1,000 lbs. 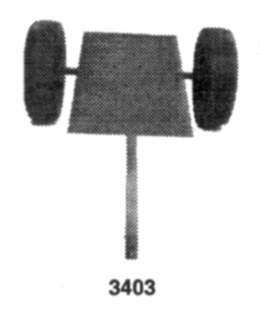 Order pto shaft 3397 separately.